Device performs stable and reliable work with anti-breaking rope safety insurance. 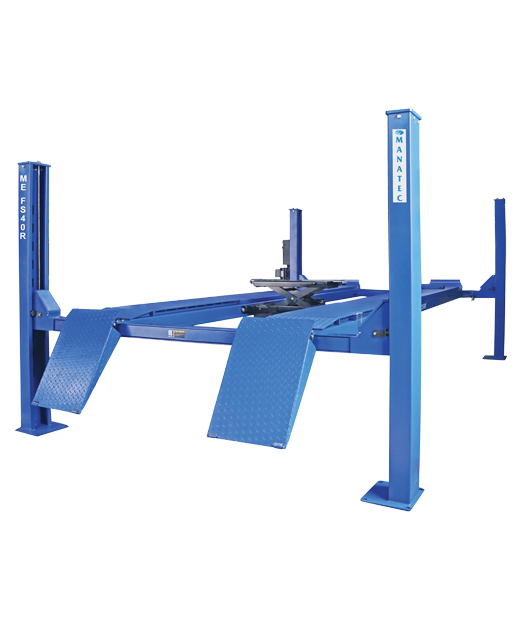 Level can be well adjusted to meet the need for wheel alignment. FOUR POST LIFT – English.